Certified by CDOT as a D.B.E. and E.S.B. For family reasons, Karen Aspelin moved to Colorado in 2012 after a 20-year career in the Southwest. Although she has kept busy working in other states remotely, she realized she missed working in her own community. With Colorado Springs’ rapid growth, 2017 seemed like an ideal time to hang out a shingle in her home town. 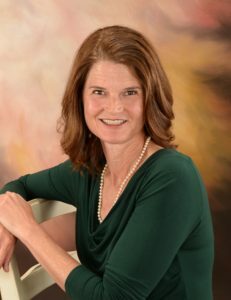 Karen Aspelin, P.E., P.T.O.E., is the majority owner of MaxGreen and principal of their office in Colorado Springs. She has 25 years of experience in transportation design, traffic analysis, and planning studies. Karen has served as the lead traffic engineer and project manager for a wide array of projects. She has also arranged and led dozens of public meetings and has discussed project details with hundreds of property owners as part of her projects. Karen is an International Director from the Western District for the Institute of Transportation Engineers (ITE) and chair of ITE’s STEM Committee. She is also a past president of ITE's Western District and of the New Mexico Section. Karen served as the District’s technical committee chair for nine years. Her involvement with ITE keeps her up to date with the latest traffic research in the West, and she strives to implement new trends and technologies in all of her projects. Karen received her B.S. in Civil Engineering with distinction from the University of Virginia. She received an M.S. in Civil Engineering from Texas A&M University, participating in what is now called the Graduate Transportation Scholars Program. She is a licensed professional engineer in Colorado, New Mexico, Texas, and Idaho, and is certified as a Professional Traffic Operations Engineer (P.T.O.E. ), taking the first exam offered for this certification in 1999. In addition to her involvement with ITE, Karen is on the Board of Directors for the Southern Colorado Branch of the American Society of Civil Engineers and serves as the chapter’s Programs Chair. She is also a member of the WTS Colorado Chapter. When graduating college, Karen received the Civil Engineering Chairperson’s Award, which reads that it is “in recognition of outstanding academic ability, the ability to get along with people, and a demonstrated ability to work hard.” Karen feels that these words are still apt descriptors today and the reasons she has been successful in her career. "In my dealing, as the New Mexico Department of Transportation State Traffic Engineer, with Ms. Karen Aspelin, I have found her to be a very knowledgeable and competent engineer. She has always provided thorough, accurate, punctual, and relevant engineering analysis and services to the Department."